Where the Birds Are in Marana? 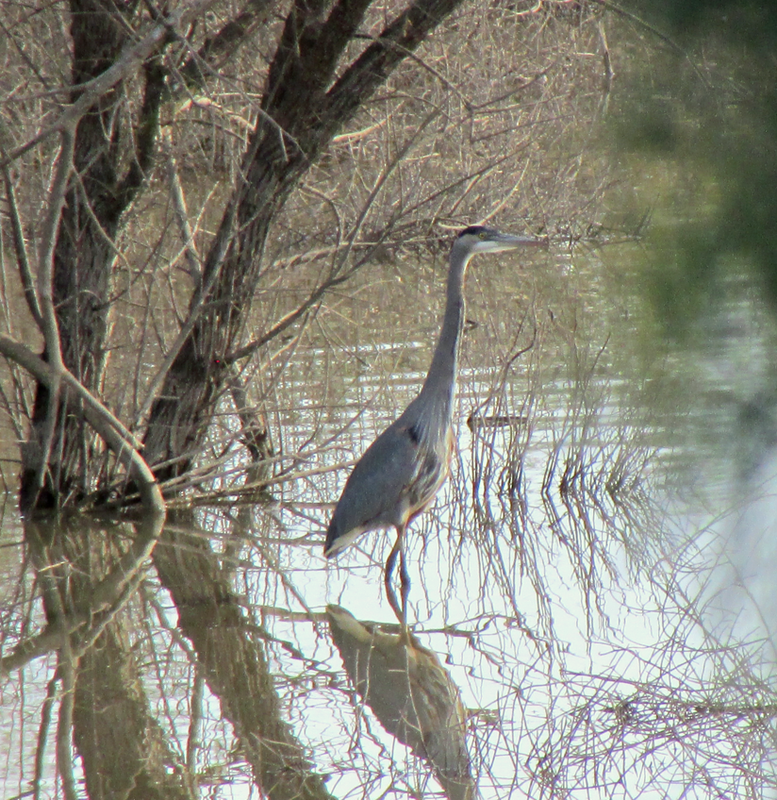 This article describes four good sites to view birds in Marana. El Rio Open Space is a fairly easy walking area where one can see riparian and grassland species, as well as views of raptors soaring above the nearby Tucson Mountains. This site is listed in Finding Birds in Southeast Arizona, Revised 8th Edition (2015) edited by Ken Kaufman. It is also advertised on the Tucson Audubon Society website, is mentioned periodically on the Arizona-New Mexico Birding Listserv site, and is part of a survey route for an Important Bird Area. El Rio Open Space was also featured in the April-June 2013 edition of the Tucson Audubon Society Vermilion Flycatcher magazine. This site is an excavated pit where sand and gravel were removed for construction of Interstate-10. It is bounded by the Santa Cruz River to the east and the northern terminus of the Tucson Mountains. Tucson Audubon Society has worked on riparian restoration, planting native vegetation here. During rainstorms, the gravel pit fills with water, stays wet for months, and becomes a great spot to easily view waterfowl and shorebirds. Some birds encountered here have included: Belted Kingfisher, Pied-billed Grebe, White-faced Ibis, Great Blue Heron, Black-necked Stilt, several duck species, and more. The birding remains interesting even when the pond is dry; during the summer months, Bell’s Vireos nest in the tamarisk, Gilded Flickers, Lazuli Buntings, Gambel’s Quail, Greater Roadrunners, an Eastern Phoebe, and many other species have been sighted. Even sandhill cranes stop by in the late fall, presumably on their way to the Wilcox Playa. Hawks and falcons take advantage of the updrafts along the ridge of the Tucson Mountains, where you can spot Red-tailed Hawks, Peregrine and Prairie Falcons, Cooper’s Hawks are commonly sighted. A Black Hawk was once sighted during migration. The Sonoran Desert, with saguaros and prickly pear, directly adjoin the El Rio Open Space – so there are opportunities to spot Rock Wrens, Canyon Wrens, Black-tailed Gnatcatchers, Verdins, Gila Woodpeckers, and hear the occasional downward trill of the Canyon Wren. Directions: To get to the El Rio Open Space, exit Interstate 10 at Twin Peaks Road. Go west about one mile and turn right on Coachline Boulevard. Take Coachline Blvd north of Twin Peaks Rd. Park at the parking lot just before N. Turquoise Moon Way. Directions: Take Interstate-10 to the Cortaro Road exit and go west on Cortaro Rd. Turn south on Silverbell Road an turn in at the Crossroads District Park sign. Drive toward the library and turn left into the parking lot by the volleyball courts. Walk east toward the tall swath of greenery along the river. There is a paved trail you can follow to the south to the Ina Road Bridge. The Tortolita Mountains are located on the northwest edge of the Tucson Valley. The Tortolitas are a small, rocky, rugged mountain range near the Pima/Pinal County border. There are large, healthy stands of saguaro cactus and a few junipers in the higher areas. Elevations range from approximately 2,500 ft to 4,200 ft. There are several crested saguaros visible from the trails in the Tortolita Mountains. Vegetation is Upper Sonoran Desert palo verdi, mixed cacti, and Southwest riparian deciduous forest and woodland. Directions: Drive north of Tucson on Interstate-10 and take the Twin Peaks Road exit, heading northeast. Go several miles and as you cross Tangerine Road, Twin Peaks becomes Dove Mountain Boulevard. Follow this road to its end (through the gates for the Ritz Carlton Resort). There will be a Marana parking lot on your right a short distance after the entrance gate to the Ritz Carlton. There are several trails in the Tortolita Mountains; you can obtain a map at the Marana Parks & Recreation Department. These hikes vary in difficulty so be aware to bring water and be well-prepared to hike.